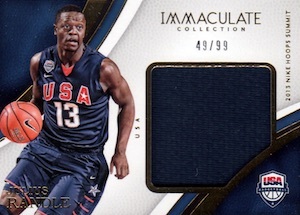 An end-of-season delight for many high-end NBA collectors, 2016-17 Panini Immaculate Collection Basketball doesn't skimp on the quality or the price. Each six-card box includes five autographs or relics. While this format is not much different than the 2015-16 product, one new change is the debut of the "1st Off the Line" platform. 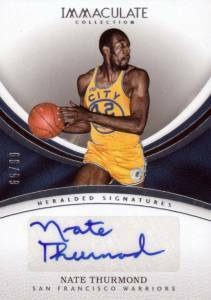 Starting with Immaculate NBA, the program allows collectors early access with delivery approximately 24-48 hours before the official release date, if they purchase straight from Panini's online store. Exclusive cards are also part of the equation, in this case an Emerald base parallel (#/5) in every box. 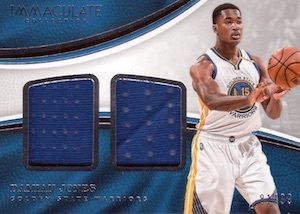 Although the 2016-17 Panini Immaculate Collection Basketball checklist does include base cards, that's not why you're here. 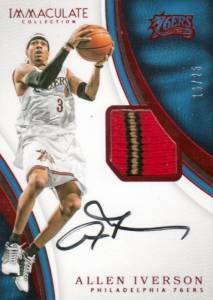 Starting with the much-celebrated Rookie Patch Autographs, Immaculate Collection lives up to its name in most aspects. For the RPAs, that means prime relics and on-card signatures. There are also Sneaker Swatch Signatures inserts with shoe pieces for Stockton and Malone, while Dual Rookie Logoman Autograph cards provide the ultimate chase. 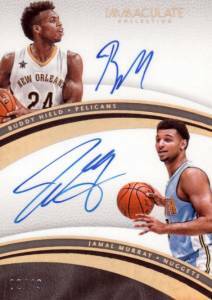 Even though an added swatch is nice, there are also several 2016-17 Immaculate Basketball choices that have just a hard-signed autograph. Choices here include Milestones for the key moments, as well as Dual Autographs, Triple Autographs and Quad Autographs, which connect the players through their team, draft class, country of origin, or other aspect. 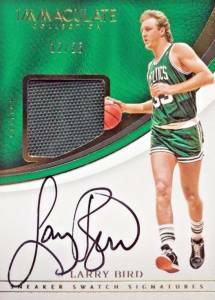 Likewise, if the memorabilia piece is nice enough and the design is strong, even an autograph is not a requirement for a great card. 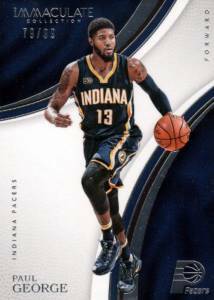 2016-17 Panini Immaculate Collection Basketball relishes in that fact. Nameplate Nobility goes with letters from a player's jersey. Logoman showcases intact NBA logo patches. And then there's the sneakers, those glorious sneakers. Collectors can now find new Laces and Tongue cards to go with Sneak Peek and Sneaker Swatches. 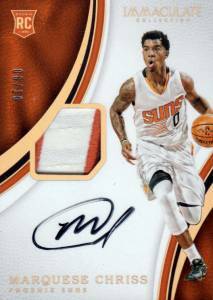 The 2016-17 Panini Immaculate Collection Basketball box SRP checks in at $425. 2016-17 PANINI IMMACULATE JAYLEN BROWN RC TRIPLE PATCH 95 99!! 2016-17 PANINI IMMACULATE JAYLEN BROWN RC TRIPLE PATCH 37 99!! 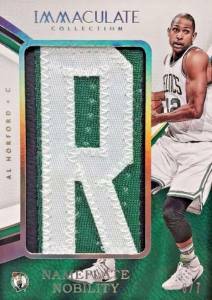 2016-17 PANINI IMMACULATE JAYLEN BROWN RC TRIPLE PATCH 41 99!! PARALLEL CARDS: Blue #/35, Red #/25, Gold #/10, Emerald #/5 (1st Off the Line), Platinum 1/1. PARALLEL CARDS: Jersey Number #/91 or less, Red #/25, Gold #/10 (Maker #/8), Logoman 1/1. Not all players found in Red parallel. View the spreadsheet for full breakdown. PARALLEL CARDS: Jersey Number #/50 or less, Red #/25, Gold #/10. Not all players found in each parallel. View the spreadsheet for full breakdown. PARALLEL CARDS: Red #/25 or less, Gold #/10, Platinum 1/1. 62 cards. Serial numbered #/49. Shop on eBay. 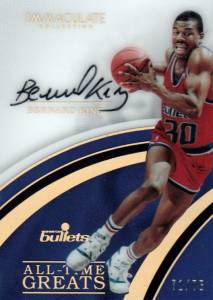 PARALLEL CARDS: Red #/25 (Only Burks, Burke, Ingram), Gold #/10 (Only Burks, Bogdanovic, Carmelo, Burke, Ingram), Platinum 1/1. 22 cards. Serial numbered #/50. Shop on eBay. 75 cards. Serial numbered 1/1. Shop on eBay. 59 cards. Serial numbered 1/1. 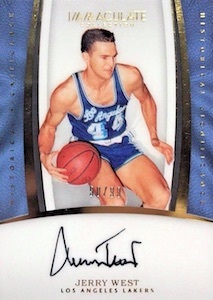 PARALLEL CARDS: Prime #/15 or less, Platinum 1/1. PARALLEL CARDS: Red #/25 or less, Jumbo #/15 or less, Gold #/10 (Wall #/6), Platinum 1/1. Not all players found in Platinum parallel. View the spreadsheet for full breakdown. High end product that does not guarantee a RC card per box.